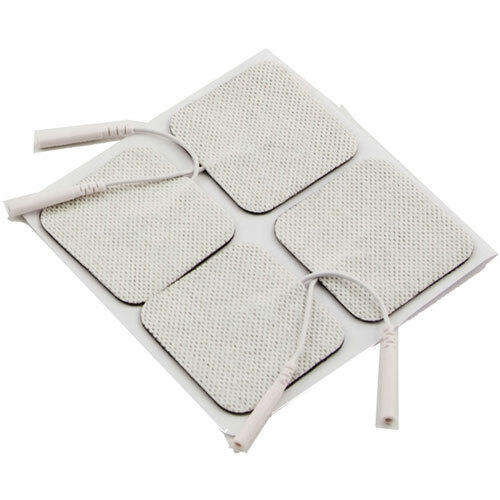 These electrode pads are suitable for use with all TensCare products, with the exception of MamaTENS and Ova. Their "universal" fitting means that they are also compatible with most other TENS brands. Each pad measures 50mm x 50mm (2" x 2"), and comes in a pack of four. Below are reviews of TensCare Replacement Electrodes - 50 x 50mm by bodykind customers. If you have tried this product we'd love to hear what you think so please leave a review. Do the job every time! TensCare electrode pads are suitable for use with all TensCare except MamaTENS and Ova. Their "universal" fitting means that they are also compatible with most other TENS brands. Each pad measures 50mm x 50mm (2" x 2"), and comes in a pack of four.